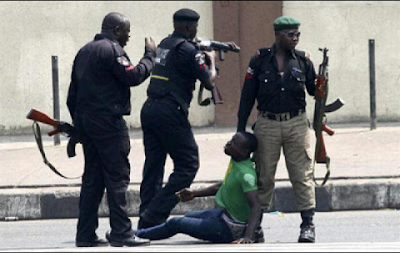 From the love of a Nigeria Policeman for unwarranted tips (#20)to the shallow response to issues, Emergencies and the crafting of idleness, so is the extent of the palpable insecurity, the vulnerable society faces. Forget the Public Relations stunts and advertisements that impose on us the polite and theoretical competence of the Nigeria Police force,It has failed to comply in accordance to the standard they parade .Especially those ones setup in the suburbs and remote areas. Gangsterism and street bustles has flourished with elegance as their is no proximity in reaching the police, there's no police unit office or officer around the streets to handle pandemonium,to respond to emergencies ,ecetera.Why set-up Offices that can not be accessed easily?,What if it's night?Because most times there's no Electricity to attend to Emergency calls therefore worsening the situation . 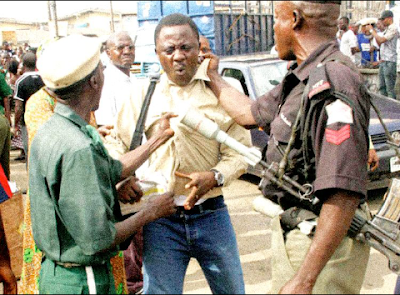 The problem of corruption in Nigeria is no more the problem, The problem is the key players in the play and the Police is the captain of this tenacious ill.Why free a victim of crime because he bought your conscience? Sometimes the victim is fred at the crime scene.This has affected the skeletal credibility people have in the Police.The uncanny bully that they carry out like,A policeman can beat and harass anybody that looks psychologically and physically fragile and as far as you look ignorant they won't stop the gruesome intimidation. The Police definitely is trying but what is the value of it?,when you try and and your flaws cloud your struggle? We need a police that doesn't compromise, A police that will be available at all times,We need a police that will not marry #20.00.Police stations should be a placed at strategic positions where it can be easily accessible during emergencies, Police stations around the streets will not be bad either. The Police can not do the Job alone,we must be involved, We must make it easier by been the responsible citizens we claim to be.Let transparency guide us through the Security challenges we face.Do not forget ,"the Police is your friend".Do not take laws into your hands always take it to them (police).